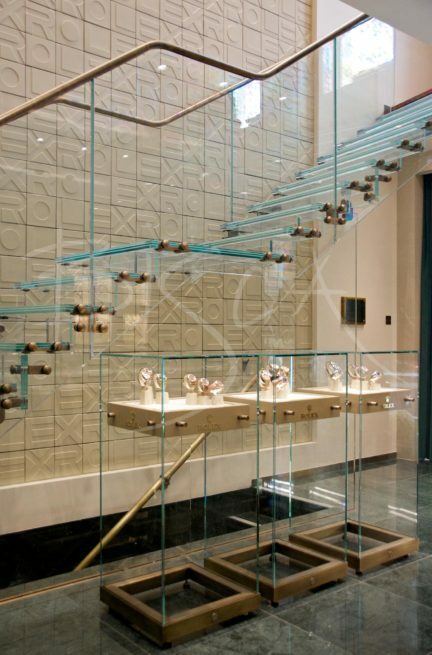 This glass staircase reflects the timeless ethos of the Rolex brand, and was commissioned for the Rolex store in Leeds City Centre. 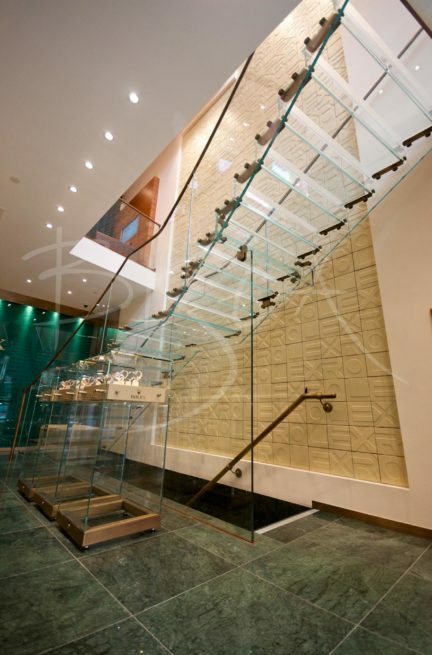 Triple laminated treads curved from a centre point, whilst a low iron glass balustrade follows the outer curve of the stair. The balustrade is capped with a bronzed handrail. Attention to detail was crucial throughout this project. 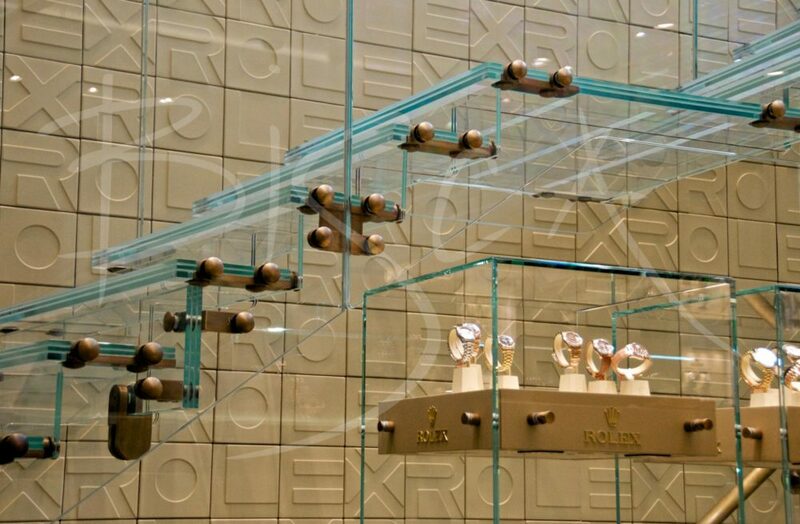 The bronzed fixings play an integral part of the design and required a flawless finish. 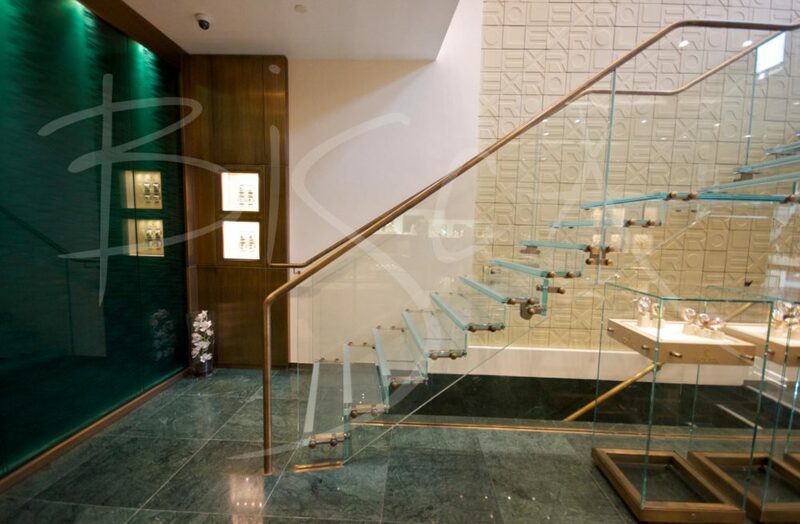 To find out more about this staircase, with or without bronze handrail, please quote reference 3322 or mention Rolex staircase.